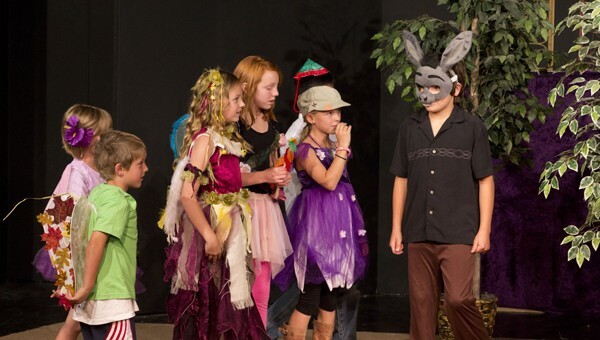 Register your child for Much Ado About Shakespeare camp before June 1 and receive a discount. Mammoth Lakes Repertory Theatre is offering something special for area youth this summer: the opportunity to learn about Shakespeare’s world of theatre when it hosts a two-week camp managed by LA-based Much Ado About Shakespeare. The camp at Edison Theatre is being expanded this year to a two-week program that culminates in a youth production of “Comedy of Errors” one of the Bard’s most farcical plays, focusing on mistaken identity, and slapstick comedy. Much Ado About Shakespeare is a professional educational program that brings the brilliance and fun of William Shakespeare’s works to students of all ages. It combines specialty workshops in varied performance skills with a fun rehearsal process that culminates in a grand performance for family and friends. The camp is designed for children ages 6-16 and runs from July 15-26. Campers meet Monday through Friday from 10 a.m. – 3 p.m., except for the final day of class when they present their production for family and friends. The fee is $300 for the entire program if paid prior to June 1 and $345 after June 1. Space is limited. For more information call Shira at 760.934.6592 or visit EdisonTheatre.org.